This is a blanket that I finished a couple weeks ago. I used two strands of yarn together, one a Bernat Baby Jacquards Boo Berries and then just a white. I like that it's a little sturdier. I haven't actually decided what I'm going to do with the blanket yet. It may just go to Project Linus. Here's one of my first projects inspired by Pinterest. It's just all single crochet, but it's 3 strands of yarn together. 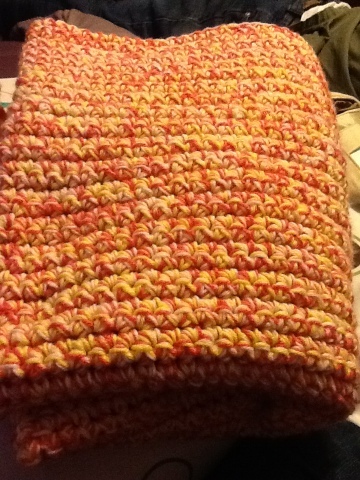 It may go to the nursing home, because it's actually a good lap blanket size. 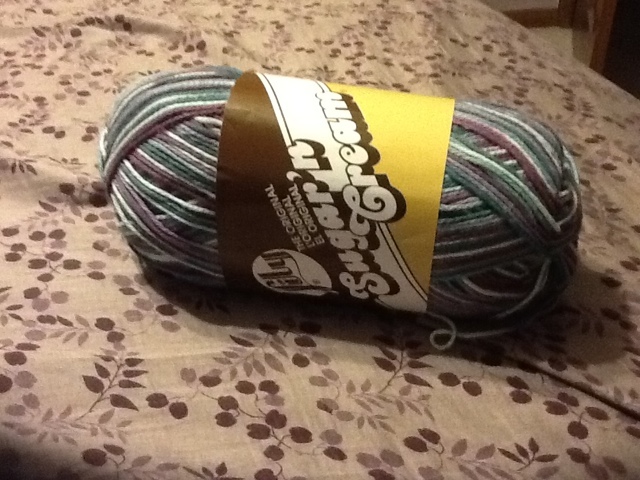 I start these projects with yarn I already had, but then end up having to go get more to finish the project. Seems to be just how I roll. I wanted to start a blog to document projects from Pinterest that I actually complete. So here is my first post with my most recent project. I started this bag on Tuesday at the Brewer's game!! I can't just sit and watch baseball, at least not unless it's my own kids playing, so I had to bring something with me. I had a bag started in a different color, but knew I wouldn't have enough to finish, so I brought another ball with me. I of course had to go buy another ball to finish. I did add a few rounds to the base, like they recommend, and then I widened my handles, but otherwise I followed the instructions. 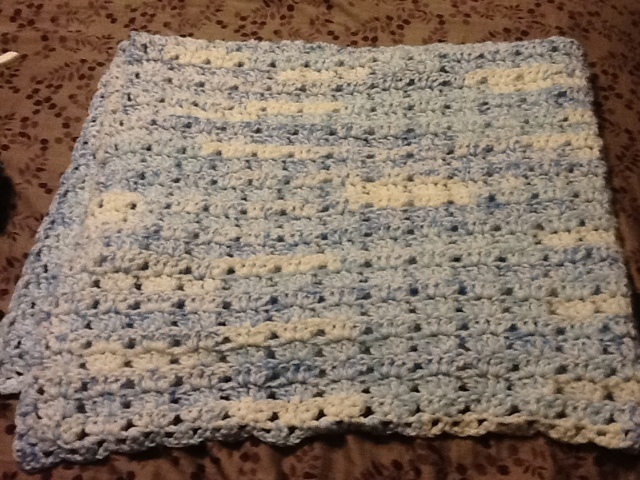 I'm not a super fast crocheter, but this was more than just an evening project. 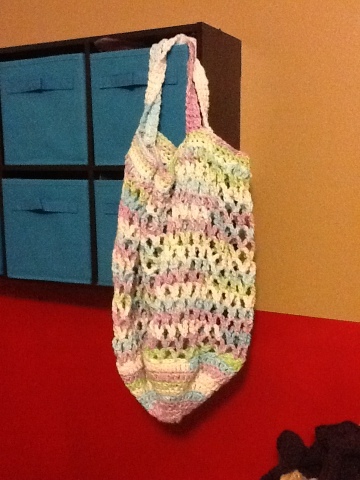 My daughter thought it was pretty cool and even the DH said it was a nice holey bag (his words). I've already got a new BIG ball to start a new one! !